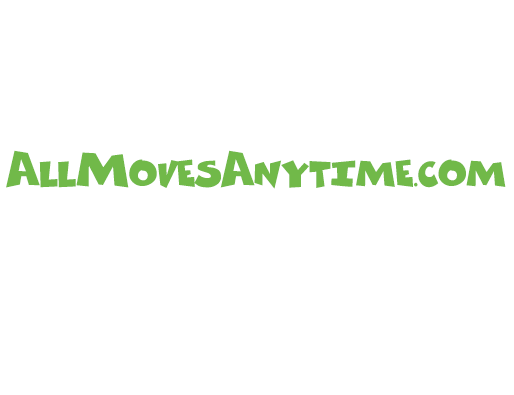 All Moves Anytime are a removals company based in Croydon, London. We’re a family-run business utilising our 20+ years of experience in removals to provide a professional, reliable removals service on a local, national and international scale. Whatever your budget for your move is, we can meet your needs. Our Croydon location allows us to offer moves in the Bromley, Sutton and Croydon area at a cost-effective price. Even if you’re move is short notice – we can help. At All Moves Anytime, we have a vast level of expertise in removals and we are confident that our professional and efficient service will meet all of your house moving needs, from the removal to the packaging. The range of vehicles in our fleet allows for us to provide a move which is suited to the requirements of the customer. We can also offer 1-3 man crews for packing and the removal, depending on the size of your move. We know how stressful a house move can be, so we ensure that we arrive on time and handle your belongings carefully during the loading, transporting and unloading at your new home. This allows our customers to focus on other parts of the move – such as being excited about their new home. If your packing is taking up more time than you expected, leave it to us at All Moves Anytime! Our team of packers are professionally trained and will treat your goods with the care they deserve. We can also provide full packing materials if required. Our quotations are honest and adhered to throughout, with no hidden extras or surprises. "The guys from All Moves Anytime made what should have been a difficult day, actually quite enjoyable. Sam and Colin worked flat out all day and couldn't have done more to assist, even giving useful tips and suggestions to us as first-time house owners. John, who we met prior to the move for the quote was in touch before, during, and after the move to ensure everything ran like clockwork and that we'd been left happy. We certainly had. Cheers guys!" They were amazing. Every got to our new house safe and sound. They moved everything into the flat and into the specific rooms we wanted them in. On top of this they helped us separate the furniture and put it back together again, while letting us keep certain pieces together for our convenience. It was a long day but they made it a million times easier for us, would definitely use them again. Highly professional service from the team. Communcation was efficient and John visited the property to ensure everything would fit in the van and moving day would run smoothly. On the day, the team was punctual, friendly and put us at ease. They raised any questions quickly to make sure we got exactly the service we wanted, and this continued at the delivery stage. Items were offloaded quickly and carefully, and the team ensured they were left in the right place. Would very highly recommend. John and his team of 3 were fantastic. Very organised and made our move to the coast effortless. Would highly recommend. The whole team was brilliant! Really good communication, very reassuring and realistic advice. In the upfront visit, we got some good advice about packing that made the whole day go smoothly. The whole team of three was very friendly and respectful, and were absolute wizards at packing all our stuff up into their van! They looked after our furniture and items well, using protective film and blankets to protect things from marks. They made a very stressful time much more manageable, and worth every penny. Would absolutely recommend and use again! Thanks again! Great service! John visited and gave us a good quote. We were moving across country, and we got a competitive quote for moving a 2 bed flat. They had everything they needed, and were very friendly and reassuring the whole time! Items were quickly and carefully assessed by the 3 man team, and unbelievably well packed in the van! Good communication too! Will definitely be using again next time we move! John, Sam and Leril were polite, friendly and efficient. I was very impressed that from the initial home visit to discuss the removal and throughout the removal process, John, Sam and Leril ensured that I was totally satisfied with the service they provided. I have moved several times and can highly recommend Allmoves Anytime above the more well known removal firms I used previously. They were also considerably cheaper and friendlier. A professional firm. Everyone was friendly and took care of the items in my home. They dismantled and re-assembled the beds at the new property which took most of the stress out for myself. The high value items were covered in quality materials which ensured they were protected. Highly efficient and the firm didn't waste any time. Would highly recommend and use again in the future. John, Sam and Kevin were absolutely fantastic. Our exchange date got moved a couple of times and we ended up exchanging and completing the next day. We were worried about finding someone to do the move at short notice but John and team got back to us quickly and booked us in. Everything was smooth from start to finish on the day. The team were really conscientious and made sure everything arrived safely. The price was extremely fair particularly given the team didn’t have time to quote before doing the job. I could not recommend All Moves Anytime more highly. We even got their brand new van. Top job. Thanks guys.